These were growing on the sand dunes. A sight for sore eyes after a day of clothes shopping. I HATE clothes shopping. Handbags yes, clothes NO. Gorgeous - such photogenic flowers and you have captured them nicely. 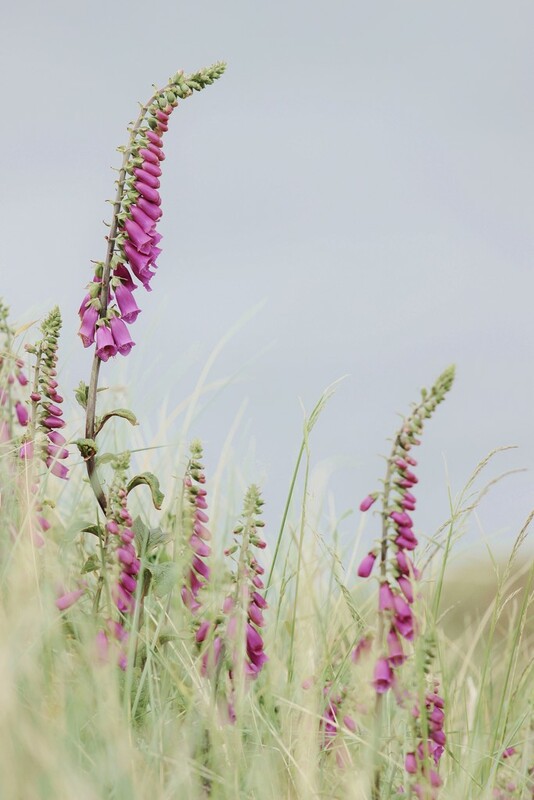 Stunning Jane.....I love this foxglove shot, a big big fave! I love clothes shopping but have no interest in handbag shopping! Good job we are all different! Lovely. I expect foxgloves to grow in woodland not on sand-dunes. Love this Jane - sympathise about the shopping! Wow! This is really beautiful! Great pov and perfect colours. Super fav! this is so gentle and pretty.